For Him. With Him. Because of Him. I am moving. To a new blog site, that is. I would love to have you join me there. It is called Sing Over Me . Click on over and join me for a fresh start! "Adventure is only a page away". 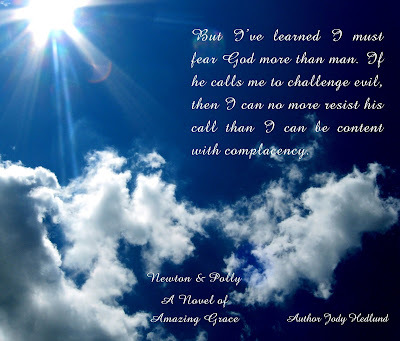 This is true of Newton & Polly by Jody Hedlund. 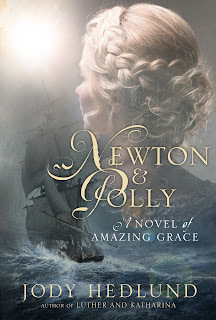 Newton & Polly is the captivating story of John Newton, the author of the beloved hymn, Amazing Grace, and his love, Polly. John Newton's life was anything but calm. He questioned God's existence and wasn't afraid to mock those who were vocal about their trust in God. A sailor by trade, he exasperated his father by throwing away almost all his father did for him. He was reckless enough to be imprisoned and chained. Newton's decision making was poor to say the least. Yet, Newton's charm does not go unnoticed. Polly is a young woman who falls for John even though her parents see lack of character on his part. She is a believer yet is in search of a connection with God. I was taken away on an adventure of a life time. At times I honestly wasn't sure I wanted to be on board the ship with Newton especially during a time of imprisonment. Oh, and there was that major storm that made me a bit green around the gills. In all seriousness, there were a few chapters I found difficult to read. Not because of anything too graphic but the subject matter - the capture and selling of human beings into slavery - but because of the compassion I felt reading the black words on the white page. Ironic, isn't it? Author Jody Hedlund stayed true to history with a few exceptions. As I was taught in school, we study history so we do not make those mistakes again. I can only pray we will end modern slavery and never repeat history again. This was one of the author's most difficult books to write. Find out why here. Find out more information about John Newton, quotes from Newton, and other links including discussion questions here. I admit it. I watch her. Unnoticed like always. Momma said my curiosity would get me in trouble one day. She may be right, although she'll never hear it from me. Lydia King. The name is as beautiful as she. Except for the beauty, she and I are a lot alike and I think that is why I watch her. At first it was to try to be like her. Then, I saw the real Lydia and the Lydia she wants the world to see. I knew right then and there if we ever had a chance meeting we would become the best of friends. You see, society looks down on those of us who don't have much, if any, money. But, when I watch Lydia trying so hard to hide the fact and succeed, well, I guess it gives me hope. So, I continue to take notes from afar. I know Lydia is desperate to help her family. Sometimes, I just stay close by her house just in case she needs someone to run and get help. Things at home aren't always as they seem. Imagine my surprise when Lydia, trying to impress her soon-to-be mother-in-law, marched right on up to Mr. Nicholas Lowe's office at the sawmill requesting he give the Teaville Moral Society money for fancy sewing machines so the Society could sew more blankets for the poor. I mean, I about fell out of the tree! Hey, I can't help it if the richest man in town leaves his window open right under the tree I just climbed! Nicholas Lowe is more than handsome. Yet everyone knows he won't let anyone tell him to whom he should give his money. I knew I would have a difficult time keeping my roaring laughter to a snicker when he told her no. But, what happened next, now that was something to see - he dismissed her, left his office, and she just stayed put. That girl is determined. I made a mental note to add determined to my notes later. What happened next? I would be writing a book, myself, if I told you all the adventures I witnessed. I'm tired just thinking about it. Author Melissa Jagears did a mighty fine job in her book, A Heart Most Certain telling and showing this amazing story. It's like she saw everything I did. And, shoot, can that girl weave a story. I've read the book and I will tell you it left me thinking on some matters of the heart for days. Maybe even weeks. So many thought-provoking moments in that book I thought I was going to run out of paper just marking all the good stuff. Like when Lydia admitted to Nicholas that using wool, instead of fancy blankets, would be cheaper, quicker to make and help more people but she knows "how it feels to have "good enough". But to received something beautiful..."
I have some more snooping...I mean, my curiosity for learning about others is sending me on my way now. So, go on. Go on and purchase A Heart Most Certain to find out more about Nicholas, Lydia, and all the people in and out of their lives. Now go get that book! 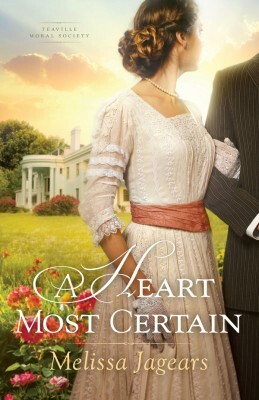 While your purchasing A Heart Most Certain, make sure you check out Melissa Jagears other novels. You won't be sorry. Go ahead. I'll wait right here will you read that quote again and find the lovely in that truth. I know. Right?! Doesn't this just stop you in your tracks and want to yell "YES!!!" so loudly you think the author hears you?! In light of junk going on in this world we live in today, both locally and globally, I found comfort in those words. People killing people. People shooting people. People stealing people. People just being people. It can make a person ask all kinds of questions and wonder what in the world is happening - adopting a more negative than positive attitude in general. By the way, this is just one of many quotes I highlighted in my Kindle. Less than half way through the book I was wondering why I didn't just purchase a paper copy. 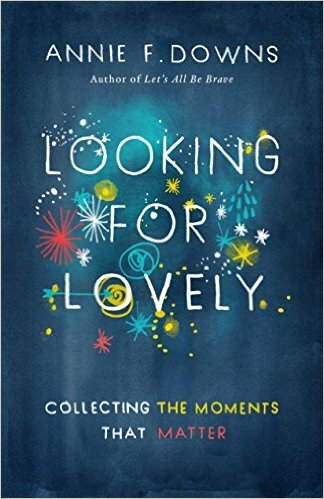 I read Looking for Lovely slowly. Partially because of time constraints and partially because I just needed her words to soothe something in me. Annie doesn't offer fixes. Just her story. Sure, at the end of most of the chapters is some "action" suggestions. But, Annie doesn't push. Annie just tells her struggles and brokenness while her honesty and humor peek through. 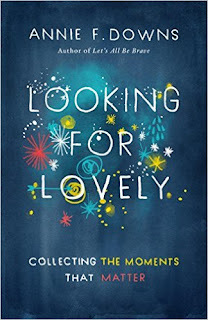 She looks for lovely in the messy situations and encourages the reader to do the same. GO!. Go purchase this book today! Be sure to check out her Looking For Lovely Bible Study and more! This life is hard. Said Captain Obvious. This was the first conference for this network whose goal is to equip churches. The theme for the week was Dare Greatly. Each session had it's own mini-theme; Land, Start, Heal, Repent, Go, Host, Love, and Live. It was a week full of insight and learning from great speakers who I truly believe God spoke through. And, just as in life, we were all pumped and excited until the shootings (LA, MN and TX) happened. Isn't that just like this thing we call life? We walk along in our own bubble until the bubble pops and we feel as though life just slapped us, not gently, but hard. Tears and crying out to God happened in that auditorium as we learned of the shootings. One of the worship leaders felt a very personal connection and her struggle was real and honest. I wondered what I, a person from a small, quiet town who has never experienced the hatred, could do, say, or... insert many question marks here. All I could think of doing is making a bee-line walk to her after the session. I just held her, told her how sorry I was (over and over again) as she cried. You see, I just see her. A beautiful woman. I don't see the color difference in our skin tone. I just see her. Yes, I see the difference in our backgrounds - just as I would anyone who is not from my neck of the woods, so to speak. Please forgive me if I have trouble understanding the struggle. This may sound so unbelievable naive. And, perhaps it is. Perhaps that is why I find it so hard to understand. I know, know, know, without a shadow of a doubt there is still racism, prejudice, bigotry and hatred. And, I am sorry. Truly sorry. I know that I know that I know, God isn't happy with this either. God made us in his image. Yet we are killing each other...HIS own image. Think about that and let it sink in. Honestly, I'm struggling with what God would have me do as I'm a fixer-type of person. Yet, I'm a true introvert and, forgive me, Lord, a people-pleaser who is trying to recover from that dreaded thought process. So I struggle between comfort-zone and getting out there and having my eyes opened wide. Yet, my struggle to know how to proceed is inward and unseen in comparison to what is happening with the struggle of others in the world. Yes, this life is hard. Update: this is an excellent, and I mean excellent, post written by a person whose heart is bravely and honestly seen in her words. Take a moment and check it out. And, just so you know, I did enjoy the conference even with all the junk going on outside of our conference bubble. Sitting around large round tables during meals proved to be one of the highlights. The first meal of the official start of the conference had a couple sitting down with us. We became fast friends and hope to one day visit them. Other meals found us and others laughing and sometimes discussing deep issues. It was a wonderful time of hearing about their lives in their communities. Of course it wouldn't be my life if I didn't embarrass myself at least once. Hubs played in the worship band (with wonderful-hearted people). The band members practiced very early in the morning so I would meet him in the cafeteria lobby in the mornings after practice. An elevator was pointed out to us on the second day (after we lugged everything up the hot, four flights of stairs - not that I'm complaining at all). Since the elevator was closer to the cafeteria, I decided to ride it down for breakfast. As I was leaving our dorm room another couple, whom I had seen a few days earlier at the sessions, walked out of their room. We made conversation as we walked to the elevator and to the cafeteria. It was small talk, of course. It started out with an innocent question. "How did you sleep?" Let's just say my nervous talk got me in trouble again. I complained (not hiding that fact) about not getting a lot of sleep because of my bad back and hips on a rock hard bed. The lovely couple felt my pain. They are newlyweds. Newlyweds sleeping on twin beds. Oh, did I forget to mention the rooms had three twin beds? Okay, now you're caught up to speed. ☺ We talked of where we were from and then departed as they went inside to eat and I waited on hubs. The first session started soon after breakfast. When the host introduced the speaker for the morning I do believe my jaw hit the floor as I was hitting my husband telling him I embarrassed myself in front of THE SPEAKER!!! A speaker talking about hospitality. My mind tried to rewind the elevator conversation. OH THE HORROR!! After her WONDERFUL talk, I waited until she was alone and went over to her. I said, "If I would have known you were the speaker, I would have talked about Holy things instead of complaining about my bed and my hips hurting!" Well, that turned into the joke of the week and was our conversation starter each and every time we saw those lovely newlyweds! The worship songs were wonderful. So many songs are permanently embedded in my brain. One of the songs touched many deeply. I hope you take time to listen and allow Him to have it all. Author Jody Hedlund has done it yet again! Forever Safe, a Historical Christian Fiction novel, is the fourth book in the Beacons of Hope series but never fear for it can be classified as a stand-alone book. The author does a fabulous job of catching the reader up without going overboard. The reader will be swept away as the author takes us on a journey through the lives of two people whose lives intertwine with others. Victoria grew up in a life of privilege yet it hasn’t kept her free of the troubles of life. Tom, her reluctant body guard, grew up without the privileges of life and still struggles with the memories and heartache of the past. He vows to protect her. She vows not to give him trouble. Will Victoria keep her end of the bargain? Forever Safe is a page turner, for sure!! The author does a fabulous job, as always, of bringing the characters to life. Her knack of story-telling keeps the reader more than interested. She paints a beautiful picture through description that has one feeling, seeing and hearing it all. I was reluctant for it to end but couldn't wait to find out what happened next. The author sneaked in twists and turns to the very end. 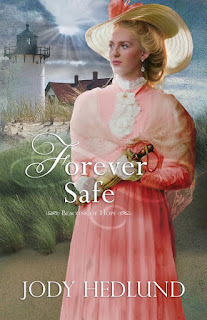 Forever Safe will have the reader contemplating all the little life lessons after the last word is read. I love when that happens; a book which has me soaking in life's chaos and how it affects me. ...I pray that you'll learn to run to the One who promises to walk beside us through our darkest valleys and fiercest storms. He may not take us out of the valley or storm, but He will hold our hand and stay by our side. With Him, we will be forever safe. I highly recommend getting this book into your hands as soon as possible. It's that good. It's May. And, since the last time I posted was March, I thought it only fair to post again in a month beginning with the letter "M". I'm consistent like that. Yeah, that's it. Consistent. Or classy. Same thing. Many things have happened this year. Mostly the same-old-same-old, yet, many changes as well. I believe this year is going to go down in the books as a year of change. The oldest child changed work locations, the middle child went to a foreign land for a few months and has returned to the states (not home-home...yet) recently, and the youngest moved out stepping closer to his dream career and will soon finish a class and begin another. And, hubs and I? We are just trying to keep up. Well, maybe I should say I'm trying to keep up. Hubs is of the laid-back kind and takes it as it comes. Me? Yeah...no. As my mom (and many others) would have told me if she were here today, "One day at a time." 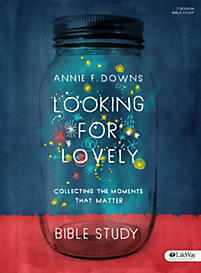 Looking for Lovely by Annie Downs. I just started this and highly recommend already! Love Does by Bob Goff. I, also, just started this one (I have no idea why I am reading multiple books right now but I am). Short chapters packed full of personal stories with a great lesson. Highly recommend as well. If you ever want to find great quotes...look no further. On the lighter side of things in the Christian Fiction genre, I'm also reading Unexpected Family by a local author Jill Kemerer. So far so good even though I'm reading it slower than I'd like but considering I'm reading two other books at the same time and apparently my life is the year of change.... This is the first book in a series of three and I've heard each book gets better and better so I can't wait to give my undivided attention to this little one. And soon to be reading as an influencer (which means the previously mentioned books will need to take a back seat for a few days or so), Jody Hedlund's newest, Forever Safe. This is book four in her Beacons of Hope series and I am sure it will be just as great as her previous books in the series. Anything and everything by the artist Sleeping At Last. His latest is the last song in the series about the five senses. It is called Sight and is something I could listen on constant repeat. Check it out! Thy Will by Hillary Scott & The Scott Family. Yes, Hillary Scott of the country group in which I can't think of the name since I can say I do not like country music and am not ashamed to admit that. Antebellum. There I thought of it! Phew. Anyway... I do have this song on constant repeat. Beautiful. Listen to it...now! King of My Heart - this version only! This one is by Stephany Gretzinger and Jeremy Riddle. There are several King of My Heart songs out there so make sure you listen to this one. Yes, I'm the boss of you! Lift Your Head Weary Sinner by Crowder never gets old. Believe me when I say there are more but I won't overwhelm you with my vast array of song choices. Or something like that. Have a lovely rest of the month that begins with the letter "M". Enter Your Email Address To Get The Lastest Posts To Your Inbox!